ARTIC CONTAINERS has been providing reliable portable Refrigerated, Dry and Hazmat storage for over 15 years. 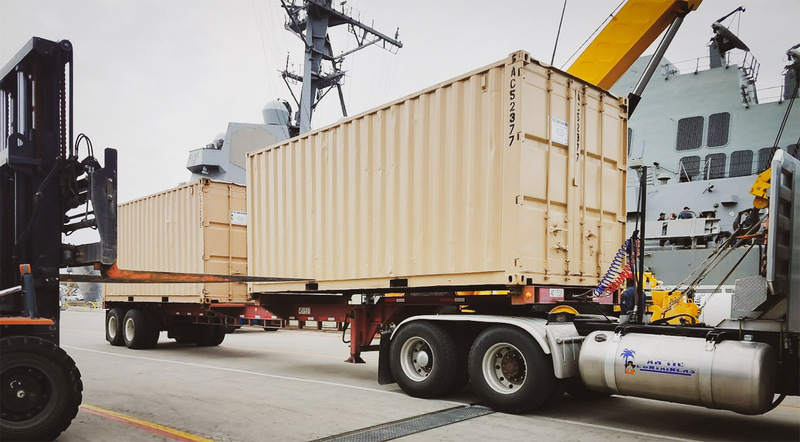 At Ar’tic Containers, you can count on us to be safe, efficient and on time when it comes to the transportation of your container. We have a wide variety of top of the line equipment that ensures we get the job done in a safe and timely manner. We can transport loaded containers with a gross weight of 25,000 lbs. each. We take great pride in making our customers our #1 priority. Because our staff has been thoroughly trained with the upmost concern in operator safety as well as unbeatable customer service, our team can ensure an efficient, safe and reliable delivery or pick-up every time. We specialize in emergency situations and with our 24-hour technical support, we strive for round the clock satisfaction. Thank you for choosing ARTIC CONTAINERS.